Both are meant for working with "big data". Which of these is more important for your research depends on the how parallel the code being executed on these large datasets is. Additionally there are also cases where a hybrid is between HPC and HTC is best. The problem you will face is typically when to use HPC, HTC or a combination. Knowing which computing cluster is best for your research will allow you to choose resources to apply for. High performance computers (Supercomputers) can run code at or near its optimal rate. In other words HPC is capable of running code that normally takes days to running it in matter of seconds. An example would be using a 15 base pair sliding window to call differentially methylated regions between two samples. Because this dataset contains information (methylated or not methylated) for every cytosine, each sample datasets is around 100 MB (in this example). Also the sliding window approach does not allow us to easily split up the data and run parallel tasks (the most we can split is by Chromosome). Also I (A Biologist by training) wrote this code and know very little about optimizing my algorithms. So I can wait for my slow code to run on a small server (where I may run into memory swapping issues) or use brute force to run this code on a HPC that can handle the work load. In summary, HPC servers are best used when you have a large (memory and time) task to run that can not be optimized further. HPC is facilitated through access to large computing power containing thousands of processors in close proximity working together (cluster) with a large shared memory capacity and large working memory distributed across many processors. Because of the large computational capacity (memory and processors) needed for HPC they are expensive and usually shared with many different researcher groups. Some examples of these may include your university's cluster or resources like XSEDE. XSEDE is a powerful resource because it gives researchers access to a variety of clusters meant to individual computing needs. One of the advantages and disadvantage to sharing resources and using a cluster is that you are not granted full control of the system. You therefore do not have sudo rights and must locally install everything. Many clusters have pre-installed programs for commonly used programs like BLAST but they may not be the versions you are looking for. XSEDE's pre-installed software can be found here. Amazon and Microsoft are dramatically cutting the cost of using large computing resources that are not shared and can easily be personalized (The advantages of these are explained more here). High throughput computing also takes advantage of many processors but rather than all processors working together on one task they work separately on many tasks. This type of computing is best for code that that runs the same task repeatedly (can run many tasks in parallel). An example of this is code that needs to run 1 million blast queries against the same reference genome. Each individual blast command is small and can be ran with little memory. But running all one million blasts is a huge task that would take days to run on one processor. HTC allows each task to be ran on a separate processor, breaking a large file of 1 million queries into 1 million separate fasta files that are ran simultaneously. Running each task separately not only cuts down the memory needed on each processor but also dramatically speeds the process. The open science grid (OSG) is an example of a HTC resource. OSG is a collection of computers connected throughout the US in a grid. This network is extremely large and therefore powerful (put number of computers here). The grid is composed of a variety of machines donating time to the grid. These machines range from personal computers to university clusters. Because the OSG has to deal with a large variety of software and machines they developed a program (HTCondor) for matching idle computers with tasks best suited for them. HTCondor carries out this matching process using user defined system requirements to find computers on the grid that are available, have the system requirements requested (memory, unix) and have requested software installed (blast or matlab). DAGman also used by OSG allows for optimization in submitting jobs to determining the series of functions carried out by which node and when. Amazon and Microsoft also provide computational resources to researchers at a low cost (or through educational grants). These resources were developed for the general public and therefore are much more flexible. Here you rent a computer of the desired type and size for a desired period of time. Both XSEDE and OSG require using their HPC or HTC service for the length of the grant (1 year access to machines) where Amazon and Microsoft charge the grant by the hour of machines and number of machines used. This allows you to use a system with both HTC and HPC characteristics depending on the number of machines and size of the machines rented out at any given time. Of course renting out many large machines and/or cost much more then renting out a single large machine or multiple small machines. An advantage to paying hourly for computational time is that resources can easily be man available to users when needed because everyone is held accountable for time spent on them. Both XSEDE and OSG allow users unlimited usage to users. This often leads to users waiting for requested resources to become available. When resources are in high depend OSG uses a fair use policy preventing users from hogging a resources. I hope this article help clarified the differences to help you decide when to use one resource over the other or if you need to use both in combination. Researchers can apply to OSG user school where they receive training plus 1-year free on the grid after that they need to join an organized group on OSG. This application is a few pages on how the OSG will help facilitate your research needs. 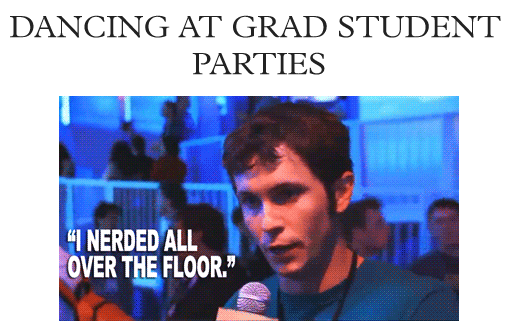 Students and Postdocs at research universities. AWS is a cloud computing service provided by Amazon. Amazon EC2 is the service we'll go over in this post. It allows users to launch their own virtual instances from a variety of operating systems. Amazon provides these computational resources to the public and private sector at an extremely low price. I have listed below both the advantages and disadvantages of using cloud computing resources. For me the advantages definitely outweigh the disadvantages :) AWS is generally much more flexible than your universities local cluster in that you can choose the size, type and number of machines and have the rights to download and run whenever needed. If your machine is ubuntu then ssh -i location_to_pem_file.pem ubuntu@ec2-54-153-7-122.us-west-1.compute.amazonaws.com All inputs and outputs should be saved in your /mnt/ directory (this is where all of the system storage is). By default you are not the owner of this directory so you need to change the permissions. Often with Cytoscape we are interested in overlaying other information such as expression data. In order to easily do this without changing the layout/format of the original file it requires a bit of programming. Here I will explain how this can be easily done in python and have provided some of my own code (although it is still a bit messy). First export your Cytoscape file to an XML file. 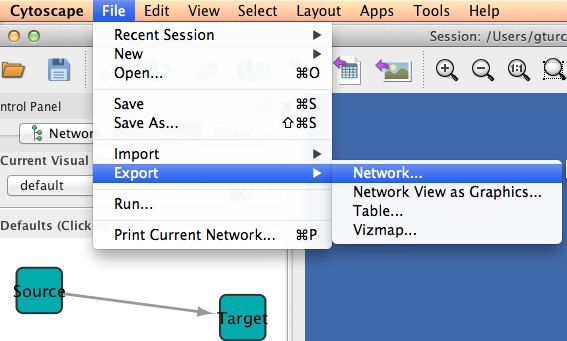 This can be done in Cytoscape under file> export> network. XML is a superset of HTML, this file contains the positional information for each node in your network along with the edges, color and shape of each edge and node and any other graphical information you can think of. With the Cytoscape file in XML format we can then parse this file in python using Beautiful Soup! Beautiful Soup is an XML parser written for python. First import Beautiful Soup and tell it the format. I have used this code for many things and made if available on github here. I used this code to color feed forward loops and stress expression response in our Xylem Secondary Cell wall Network recently published in Nature. Here is the same network with salt stress microarray data overlaid where green shows positive correlation between transcription factors/ nodes and red negative. One of the best things about 23andme is its transparency!! In addition to its awesome api that allows users to build tools to analyze their genetic data, the 23andme website also contains an exploratory mode which allows users to search for specific single nucleotide polymorphisms (SNPs). 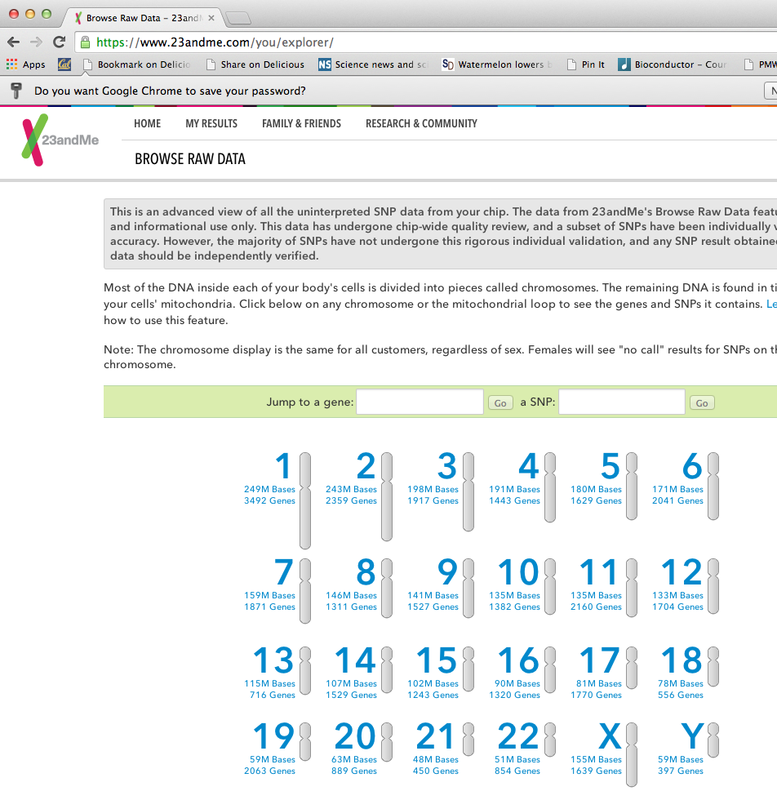 SNPs associated with 23andme health reports in addition to other traits are available on SNPedia. Some of these traits include SNPs for left handedness or even SNPs for empathy. To get this information simply search for a SNP or trait of interest on SNPedia such as empathy: Rs53576. Then login to your 23andme and go to https://www.23andme.com/you/explorer/. Here you can search for any SNP of interest like Rs53576. My genotype at this SNP is GG. Some of these SNPs arnt as well studied like the SNP for left handedness rs1446109-rs1007371-rs723524 here if you have something like AA-TT-GG you are likely to be left handed. Also at the top of the image above, if the orientation does not say "plus" but instead "minus" you need to use the reverse complement of the 23andme genotype to determine your genotype at that SNP. Officially finished my first year at UC Davis as a Biochemistry, Molecular, Cellular and Developmental Biology (BMCDB) graduate student. When I think back to the start of my first year I realize I was very anxious and confused. I had heard so many horror stories about graduate school and was really not sure what to expect. Hopefully this will help with advice on the graduate school environment. It is actually easier then it seems to pass as long as you complete all the assignments and actually try. This does not mean that the workload is not heavy! Juggling classes, assignments and rotations is enough to make you want to nap 24/7. It's all about focusing your energy in the right place. Keep in mind that grades do not matter, while where you will be spending your Ph.D does! In other words do not stress grades too much. Form study groups, try hard and you will be fine. Part of grad school is the realizing that there are a lot of subjects that you know very little about where others in your cohort maybe experts. Within study groups show up with your work done, so you can not only defend you answer but admit to your mistakes and learn from others. Start looking, writing and applying early, as in the summer before you start. I was forced to start my NSF application the summer before and was very grateful that I had. Once school starts there are so many other things to worry about. Also apply for everything even if you don't feel competitive enough. No matter how secure your funding is, many of us learned throughout rotations just how rare a professor with funding is. The best funding advice I could give is to double/triple check that all letter of rec writers will write outstanding letters and have proposals read by multiple people from varying departments and sell yourself! Sequence Read Archive format (SRA): This is an NCBI specific file format used because of its ability to compress read sequence information. This is often the output of many illumina sequencing pipelines. Fastq file: SRA files can be converted to Fastq files, these are similar to Fatsta files and contain a header, associated genomic sequence and a quality score for the sequence. This is often encoded in binary and needs to be read by quality control algorithms. Thus, Fastq files contain your raw sequence information. GTF/GFF: These are often used as reference for counting how many reads map to genomic regions. These are tab delimited files containing the , start, stop, chromosome, and strand information along with name of a genomic region (such as gene, transposon, mRNA). RNASeq process in flow chart on top. Bottom indicated different file formats and types of analysis for each step. If files are obtained from NCBI’s Gene Expression Omnibus (geo) then they are most likely in .SRA format and need to be converted to fastq using the fastaq-dump package. Before processing the data reads must first be trimmed for adapter sequences and reads of bad quality should be filtered out. A great tool for easily viewing the distribution of quality scores is FASTQC. I use trimreads to both filter low quality reads and trim adaptor sequences. For more detailed analysis others have used many components of the fastx toolkit. TopHat/Bowtie can then be used to align the fastq sequences to the index reads. TopHat is often preferred in RNAseq analysis because while it is build on top of Bowtie it is also able to identify splice junctions between exons. Once files have been aligned to a reference genome count data can be obtained. Count Data: These are counts of RNASeq reads that align to a gene (or other genomic regions indicated by the GTF file). Therefore this tab-delimited file contains gene_ids and their corresponding RNA counts from your data. A comprehensive evaluation of normalization methods for Illumina high-throughput RNA sequencing data analysis. Both programs assume that the number of reads in the sample can be modeled using a negative bionomial distribution.